How to Make a Fabric Book Cover. Use this book cover to "dress up" a paperback novel or any other book. Choose fabrics that are mid- to heavyweight. Look in the remnant bins of your local fabric stores for suitable fabrics at bargain prices. Apply bias tape by inserting the raw fabric edge between the tape's layers. Sew it into place, close to the tape's edge. Make sure that the shorter of the two bias tape folds is facing you when you sew the tape into place. This will help ensure that both folds are stitched. 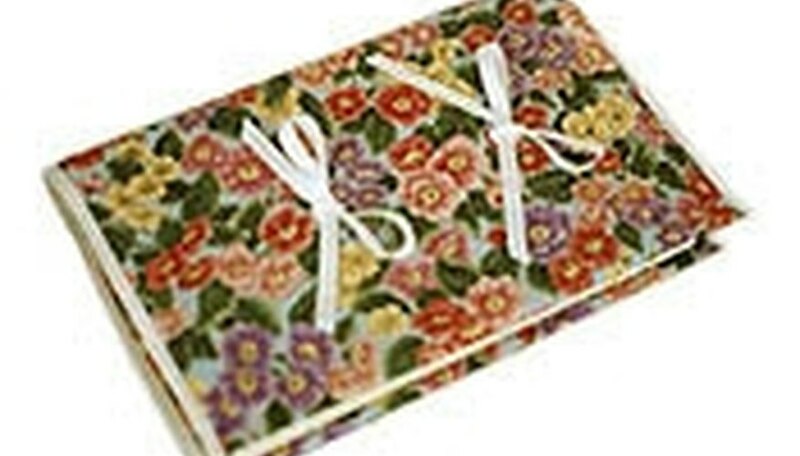 Sew lace or braided trim around the outer edges of your book cover. Make sure that your stitching line does not interfere with the fit of the book cover pockets.